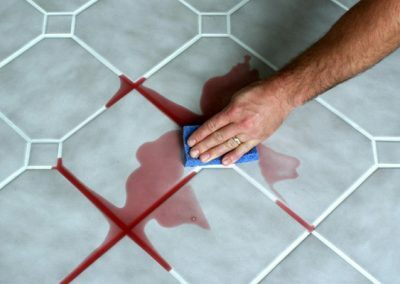 Let’s Change The Color Of Your Grout!! Unattractive Grout Lines? Ultra Clean Can Fix That!! Grout Coloring: Every homeowner can confirm that when it comes to tiled floors, the grout eventually changes its colors. This change makes the floor look dirty and alter the overall appearance of the area. 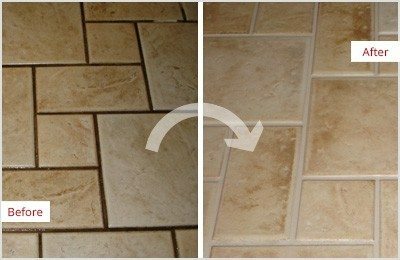 There are many reasons why grout becomes discolored. Some of these reasons include bad grout, improper grout mixing procedures, humidity and weather conditions, inadequate grout cleaning etc. At Ultra Clean Floor Care we can determine the cause of discoloration in most cases, but there are situation where the cause remains undetermined. But, this is not important because any discoloration issue can be solved with grout coloring. Ultra Clean, LLC has recolored hundreds of square feet of grout all over Texas and the homeowners where we have finished this task say that the freshly colored grout is better than brand new grout. The grout coloring process that we provide is permanent and on top of that it creates a great seal which will keep the grout safe from discoloration in the future. The grout will receive a deep cleaning with the help of our professional cleaning machines, tools and equipment. As we have mentioned before, our employees are true professionals that have experience, knowledge and skills to finish this task smoothly. Even if you need to clean and recolor grout on more than 200 square feet we got you covered because we can finish this task in less than one day. We can work on stone or tile floor and you can walk freely on it just 2-3 hours after the process of recoloring is finished. So, if your grout looks unattractive and dirty and the walking patterns are clearly visible after you perform thorough scrubbing, it is the right time to call Ultra Clean, LLC. You can leave the cleaning task to us too. Once we clean the grout in a proper way, we will apply a high quality pigmented sealer. The process we have just described is known as grout coloring or grout recoloring. What is interesting about this process is the fact that it allows you to alter the basic color of the grout. For instance, you can select darker colors or lighter colors. Obviously, you can select the same color found in the original grout. You just make the decision and our team will get the job done. Thanks to our grout coloring services you will be able to save effort and time. 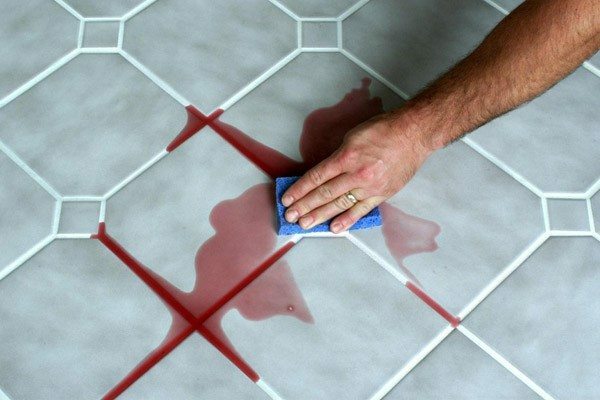 We will clean the stains, soil, dirt and any other substance that should not be found on your grout. What is even better is that this process will last for a very long time. According to our clients, it usually lasts ten times more compared to standard sealers. In other words, this is the best protection for your grout. Instead of spending a small fortune on remodeling, you can use our services. At the same time, we will finish this task without using cleaners packed with chemicals and other hazardous substances. So, what are you waiting for? Refresh your grout, tiles and call Ultra Clean Floor Care for grout coloring.